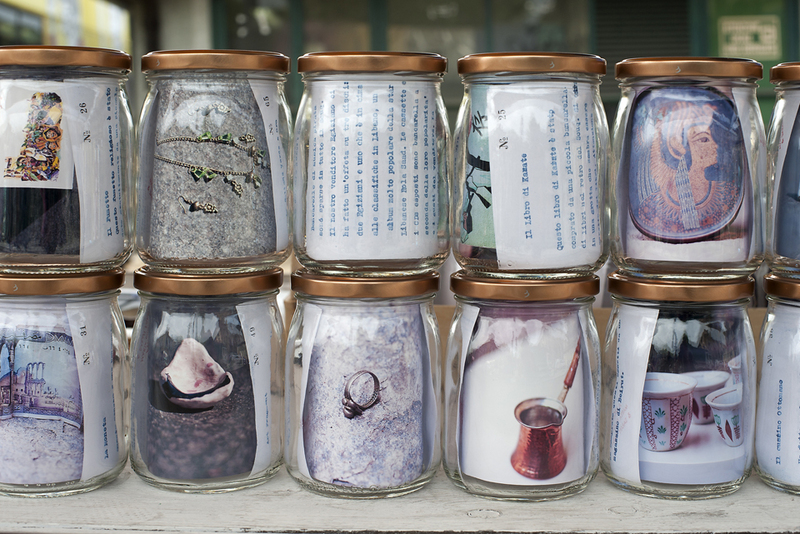 Fair Trade Free Market is a project in collaboration with Marta Bogdanska and with the support of curator Secil Yaylali and 6SecondsTO. 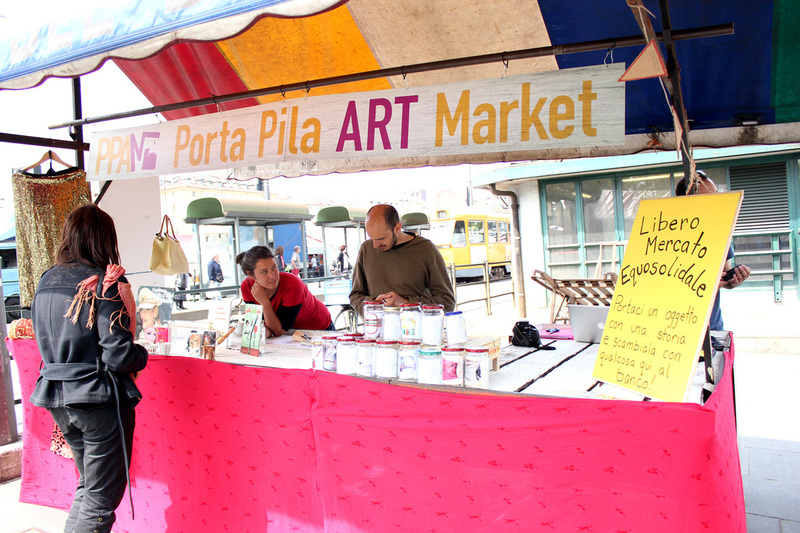 It is a process of storytelling and exchange which began at the historic Souq el Ahad (Sunday Market) in Beirut, Lebanon and continued to the historic Porta Pilazzo Market in Turino, Italy. 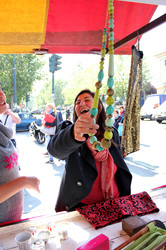 Objects were bought in the market in Beirut and brought to the market in Italy. Each object had a story obtained from the seller and both were offered in trade for another object and story deemed a "Fair Trade." The trader was given a story and its corresponding object in return for a story and an object. 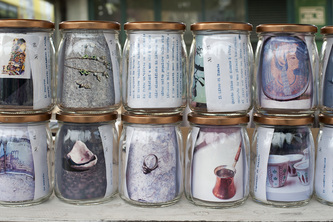 The items were photographed and "canned" with a copy of the story.